Like a lot of safeties, Cam’ron Jones, Nebraska’s newest football commit for the 2018 recruiting class, grew up watching videos of Ed Reed and the late Sean Taylor. They were, for Jones, the gold standard in how to play the position with physicality. The consensus four-star safety from Mansfield (Texas) High School loves to hit. His Hudl highlight tape reveals that repeatedly — full-on body shots, occasionally with a little helmet involved — that lay out the opponent. The 6-foot, 200-pound Jones will bring that style to NU, which beat Ole Miss and Baylor for Jones’ commitment. Jones, surrounded by family as he announced his decision on a Dallas TV station, pulled a white hat with a block red N out of his backpack. A red shirt with a block white N followed. Roughly 3,000 fans — mostly Husker and Rebel faithful — watched on Periscope, which Jones linked from Twitter account. 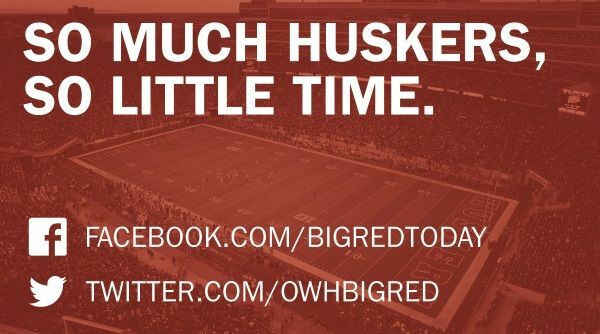 This is recruiting in the social media age, and as Jones put on the Husker gear, out-of-sync audio from a Quicken Loans ad served as the soundtrack. As fans waited for Jones’ decision, they alternately commented him on committing to Nebraska, Ole Miss, Baylor, Creighton, the XFL and a fictional school, Southwest Utah. But he was NU’s to lose ever since an official visit back in December. Jones also took an unofficial visit to Lincoln Jan. 12. He’s the second safety commit in the class — after Oxbridge Academy (Florida) CJ Smith — and said he could also play some nickel cornerback if needed. Nebraska has a variety of hybrid defensive backs — junior college transfer Deontai Williams and Ole Miss transfer Breon Dixon are among them — who are similar to Jones’ mold. Jones is rated a four-star by the 247Sports composite, Rivals and ESPN. Rivals rates Jones as the nation’s No. 220 player in the country after he had 106 tackles and two forced fumbles as a senior for Mansfield, which is on the south end of the Dallas-Fort Worth Metroplex. Mansfield plays in Texas class 6A and finished 11-2.